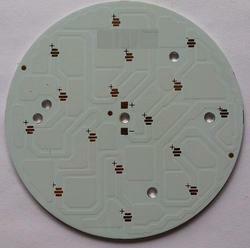 Kishore Circuit Limited - Manufacturer of single sided, pcb since 2010 in Fazilka, Punjab. 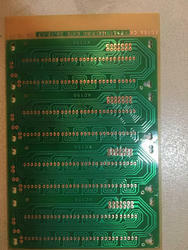 We Kishore Circuit Limited established in the year 2010, at Fazilka (Punjab, India), we are a prominent name engaged in manufacturing and Supplying a comprehensive array of Metal Core PCB, MC PCB, LED PCB, Metal core printed circuit boards, PTH PCB, Double side PCB, Single Side PCB, Circuit Board, Printed Circuit Board ect. 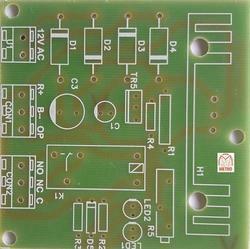 We are also Providing Services like PCB Design Service, PCB Assembly Service, LED Assembly soldering job work & CADCAM for PCB Designing Service. Our offered product range is precisely Designed and manufactured using top-notch quality raw material and sophisticated technology in adherence to international quality standards. The raw material which is used for manufacturing our entire range of products is procured from certified vendors of the industry. These offered products are widely used in various industries and appreciated for compact design, longer functionality, superior finish and reliability. In addition to this, we offer our product range in various specifications and can be customized as per the specific requirement of clients at affordable prices. 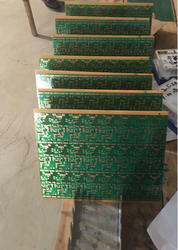 We are the best seller and market leader of Single sided pcb's . 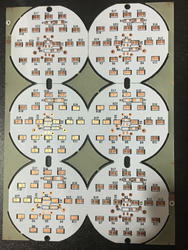 Our USP is to provide the material on time with high quality & These circuit boards are designed and developed by implementing the cutting edge technology at our modernized R&D setup. Further, we are procuring robust grade raw material and conducting strict quality tests to ensure delivery of a quality compliant PCB which is accessible at a competitive price.